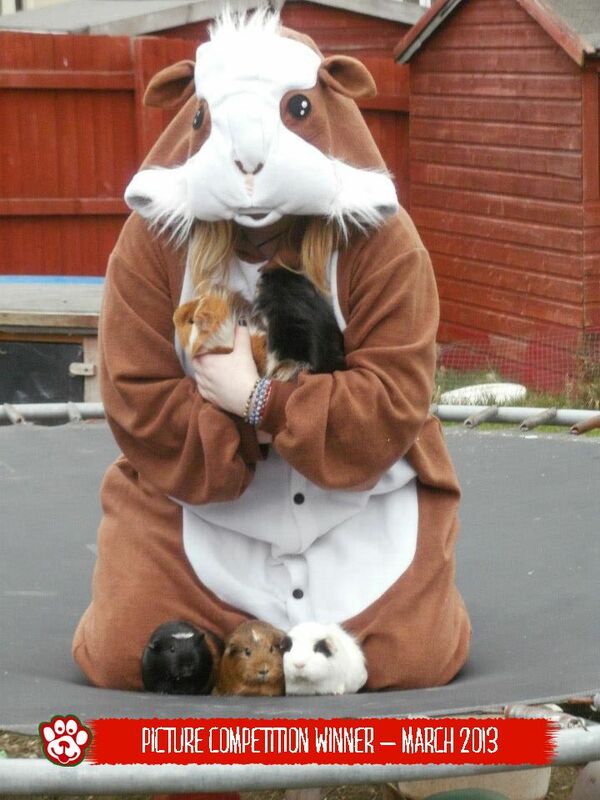 Animal Costumes Blog: Picture Competition Winner! Great news! Another month has flown by and once again we've chosen the best animal costume photo of the month, and given away a prize of £50-worth of stuff from our shop www.animalcostumesshop.co.uk. This month's winner is Chloe, who impressed us by actually involving the animal that she's dressed as (it's a guinea pig, by the way). Granted, that's probably impossible for those of you that have bought one of our dinosaur onesies, but Chloe's photo was irresistibly cute so we had to give her the prize. Anyway, Chloe wins £50 worth of stuff. If you'd like to win next month, all you have to do is send in an animal costume photo, and our favourite pic will win the prize. You can send it via email, facebook or twitter.